All-Clad combines professional design with high performance. 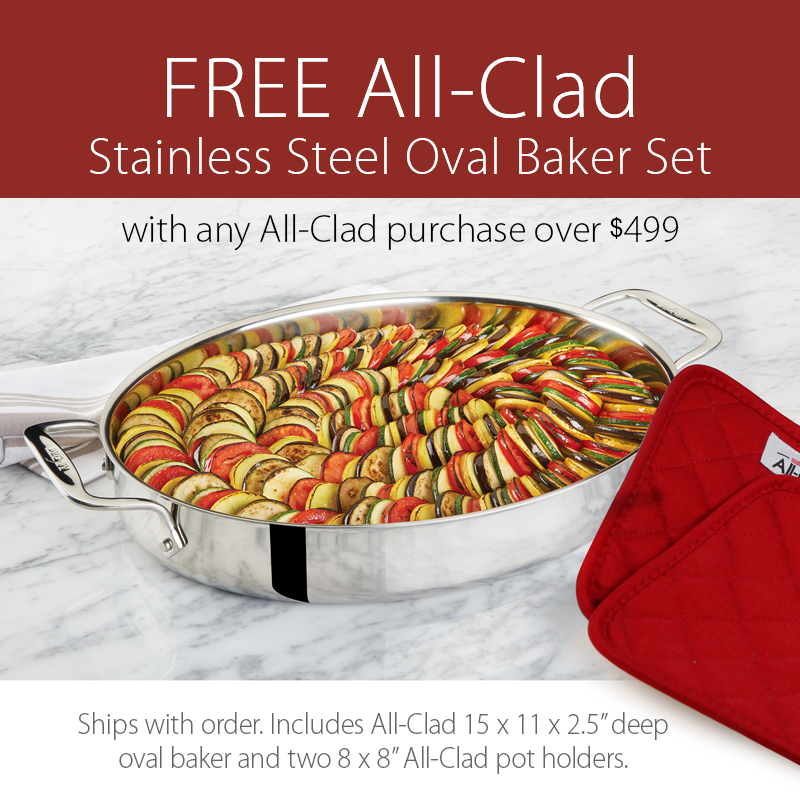 With 5 professional cookware collections, All-Clad is now introducing small electric appliances. 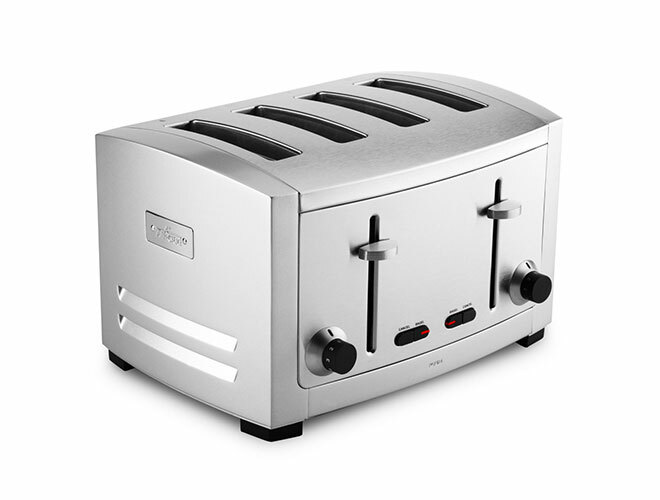 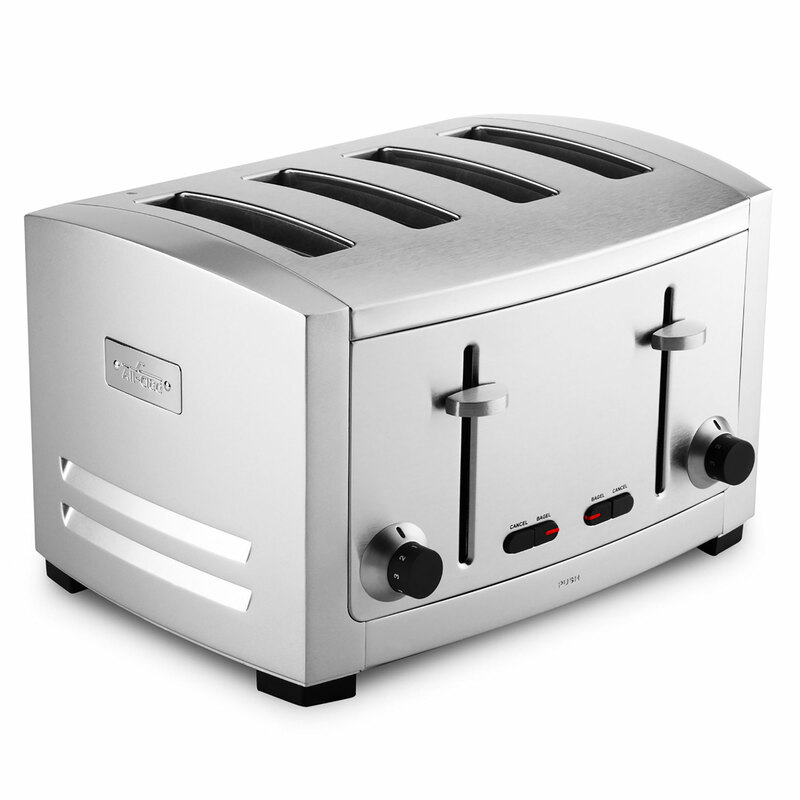 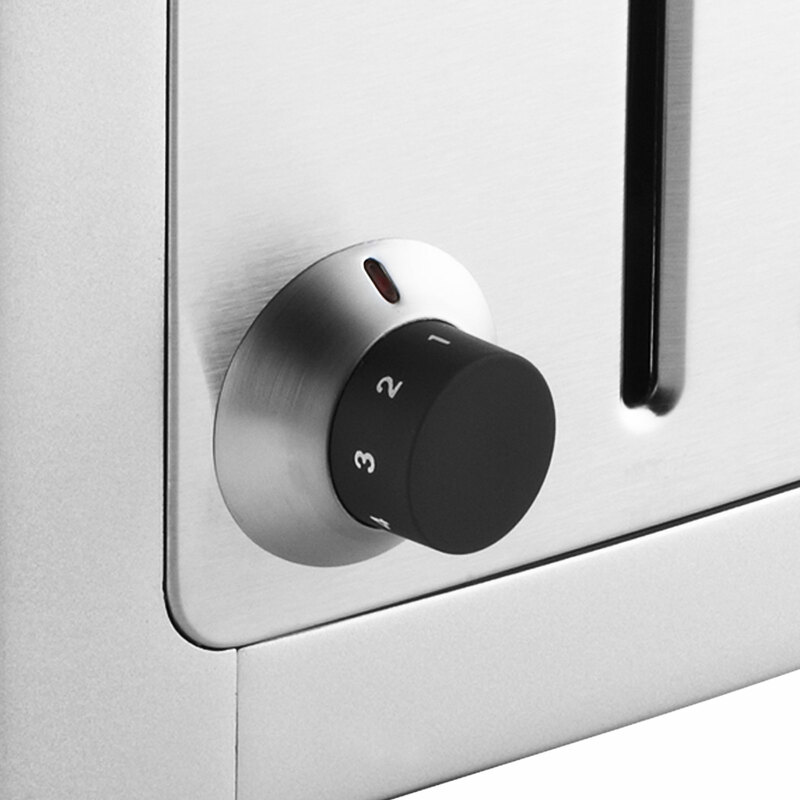 The sleek 4-slice toaster is constructed of stainless steel and die-cast finish. 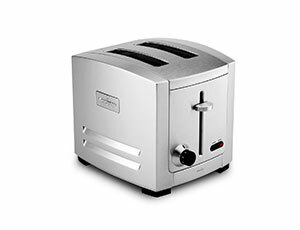 Features include: extra wide & deep bread slots, electronic browning control dial with toast settings ranging from 1-6 and frozen setting, cancel button, bagel button that will toast the cut side of the bagel and warm the outside. 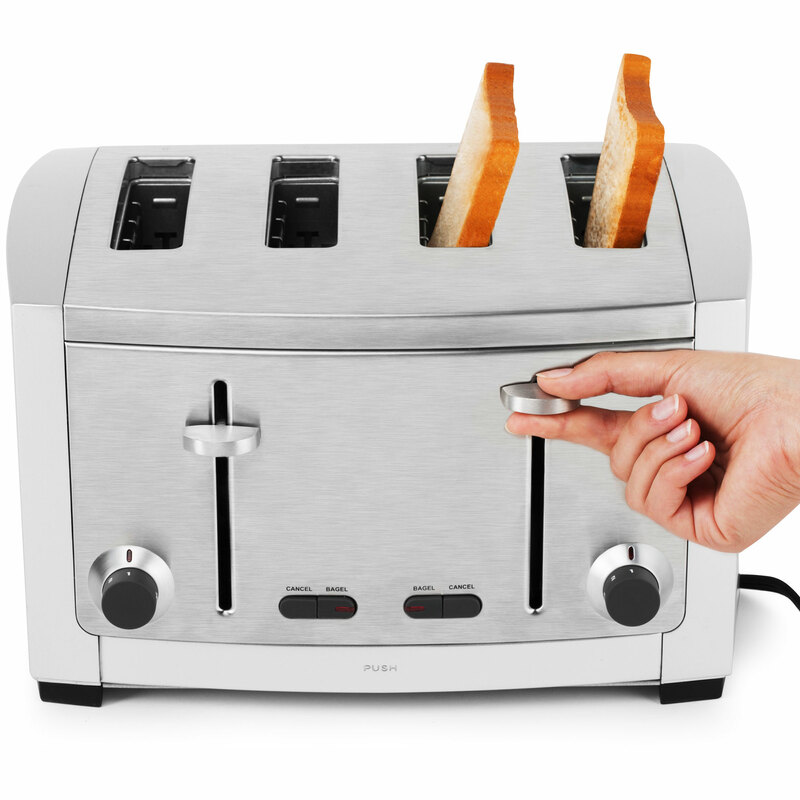 The high lift lever will safely lift smaller pieces of bread. 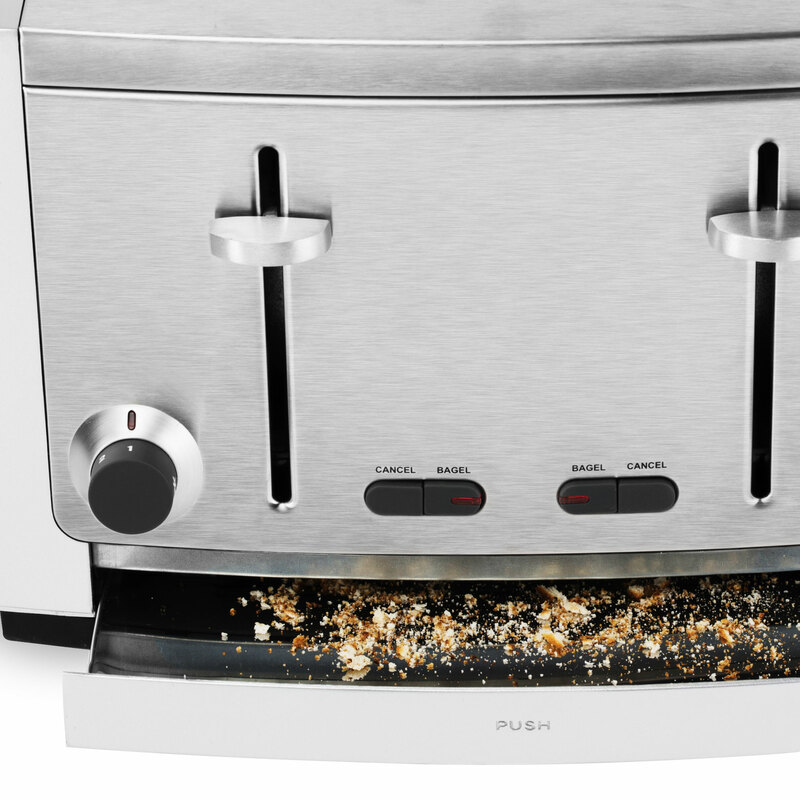 Removable crumb tray located in the front of the toaster, for easy access & cleaning.